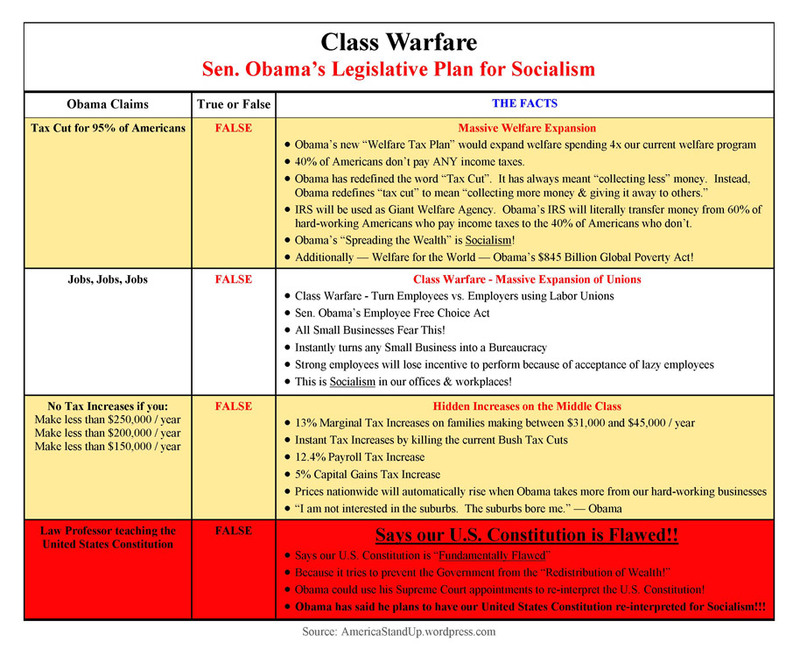 THE FACTS : Obama’s Socialist Legislation | America - Stand Up! FACT: Obama believes there is a “Fundamental Flaw” in our United States Constitution! Obama plans to hurt our employers with extreme tax increases! When Obama hurts us and our hard-working companies & employers, he hurts us all. Those are our jobs! Class warfare hurts EVERYONE and will destroy the very fabric of Freedom in America. America – You Good Men – Stand Up! Do Something! Obama Says Supreme Court should have allowed for the “Redistribution of Wealth”!!! Obama Says the United States Constitution has “Fundamental Flaw”! !